This laser cutting machine has a working range of 3070x1550 mm and can handle a cutting speed of 0-120 meters per minute. Depending on the material quality, even if you select the 2000 W CNC machine, the fiber laser will cut through 25 mm thick steel. 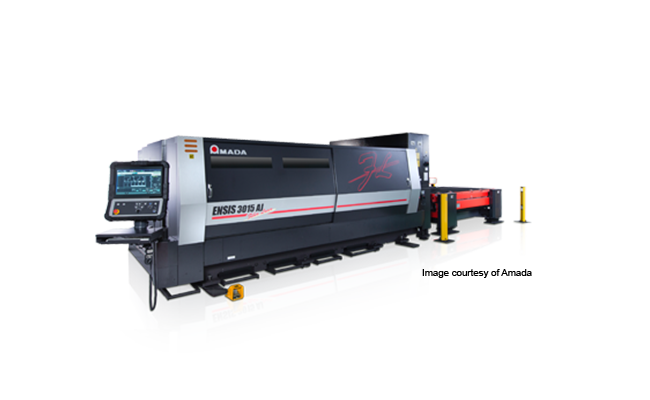 The lasering machine from the ENSIS AJ series has a shuttle table that can handle a maximum material length and width of 3050x1525mm respectively. The skid pitch of the shuttle table is 75 mm. A special feature that the laser machine can boast is the ability to adjust the beam continuously to match the thickness of the material. This helps remove the finished sheet metal parts more easily. SMP, CAD/CAM sheet metal software from Merry Mechanization, can work with any of the ENSIS AJ laser machines that you choose.